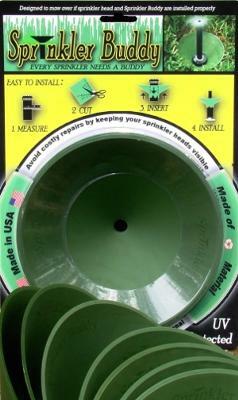 The Sprinkler Buddy is made in USA, and invented by an experienced lawn care professional. Home owners and businesses can help save water and money with this new and ingenious lawn care product. I must say your product – albeit simple - has good potential to help homeowners and business owners’ save water by protecting irrigation sprinklers from damages that often cause costly leaks. Lower my energybill, Thank you for sharing my lawn care product. It is greatly appreciated.